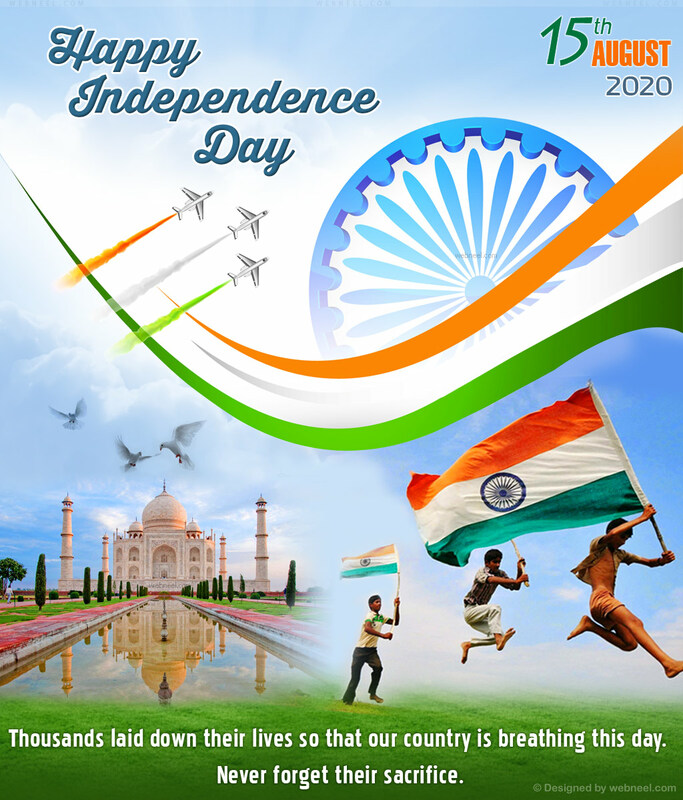 India Independence day Quotes and Messages: Are you looking for patriotic India Independence Day Quotes and Independence day messages. Well you have arrived at the right page for a touch of patriotism. 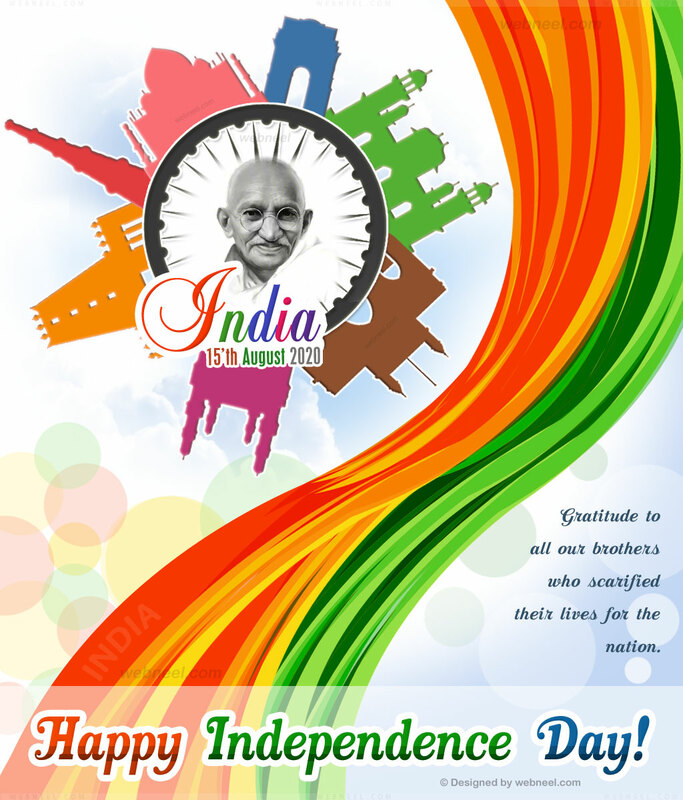 It's time to remember the great historic moment were freedom fighters fought for India's freedom. 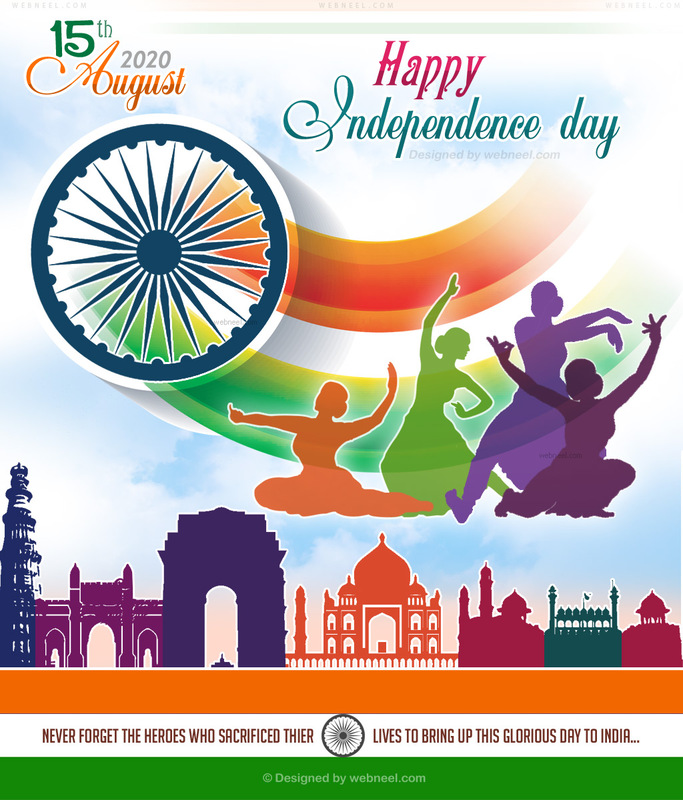 India independence day is celebrated on August 15th. On August 15th, 1947, India attained freedom from the British Rule and it was on this day, the tricolor flag was hoisted by our late Prime Minister Jawaharlal Nehru at Red Fort, Delhi. Every Year on August 15th, Indian prime minister unfurls the national flag and addresses the nation with Independence day messages(speech). Citizens of India, throng to New Delhi to witness the speech and the series of cultural events which takes place on the day. As a nation, we need good leaders. Leaders who we all can trust, the kind of leaders who always put public interests above their political or personal interests, so that the yearnings and aspirations of the commoners can be realized. This is my message to all as we mark this year Independence Day anniversary. Have a fun celebration. As we celebrate our nation’s independence day, let’s remember our past leaders who lost their lives in the battle for the freedom we are enjoying today. Have a wonderful independence day. ﻿* ﻿Even if I died in the service of the nation, I would be proud of it. Every drop of my blood… will contribute to the growth of this nation and to make it strong and dynamic. ﻿* ﻿If there is one place on the face of earth where all the dreams of living men have found a home from the very earliest days when men began the dream of existence, it is India! ﻿* ﻿Freedom has its life in the hearts, the actions, the spirit of men and so it must be daily earned and refreshed – else like a flower cut from its life-giving roots, it will wither and die. ﻿* ﻿India is, the cradle of the human race, the birthplace of human speech, the mother of history, the grandmother of legend, and the great grand mother of tradition. Our most valuable and most instructive materials in the history of man are treasured up in India only. ﻿* ﻿Be a patriotic every day, not just on Independence Day and Republic Day. 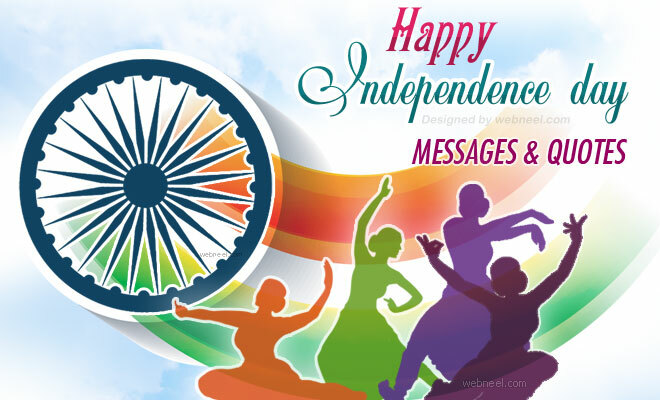 Wishing you the greetings of Independence Day! ﻿* ﻿The Almighty In The Most High Grants Liberty Only To Those Who Love It, And Are Always Ready To Defend It. ﻿* ﻿Feel proud of being part of a prosperous nation. * We have demonstrated to our colonial masters that we are worthy of the independence. * Let us think of something we can do for our nation to make it a place of wealth, peace, and happiness. Here’s wishing you and your family a safe and happy Independence Day. ﻿* ﻿True independence and freedom can only exist in doing what’s right. ﻿* ﻿Again, it is time for us to show other nations that we are great people from a great nation. And let's continue our struggle towards prosperity and betterment of our dear nation. Have a wonderful Independence Day. ﻿* ﻿This country deserves your loyalty, not only on a special day like this but always. Have a fun celebration.